Steven and Braden have returned from Cambridge Bay and Gjoa Haven, Nunavut! 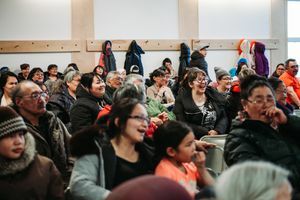 This is the fourth phase of the Arctic Hope Tour, and we had a great time in both communities! We arrived in Cambridge Bay and had a meeting at the Glad Tidings Church and also a meeting at the community centre! Close to 40 people came out to the Hope meeting, and young people heard that there is hope for their lives! 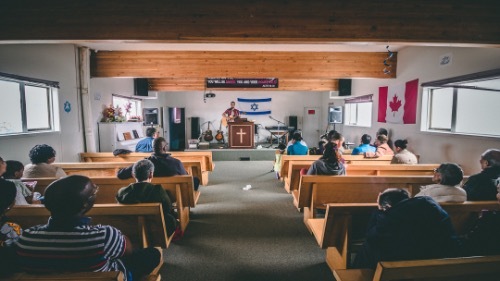 Steven and Braden ministered hope and healing at the Glad Tidings Church in Cambridge Bay! Following our time in Cambridge Bay, we traveled to Gjoa Haven. Steven and Braden held a meeting at the community hall and had close to 150 people come out to the meeting! Both shared their testimonies of God’s amazing grace changing the broken parts of their lives and people said that they felt hope for themselves! 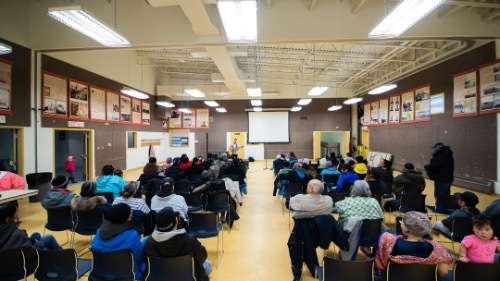 Arctic Hope meeting in Gjoa Haven, Nunavut! 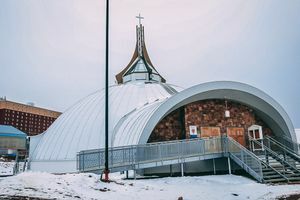 Weather changed their plans, and Steven and Braden were unable to travel to and minister to Taloyoak, Nunavut. They are headed back to this region in the coming months and will bring hope to the people there when they do come. 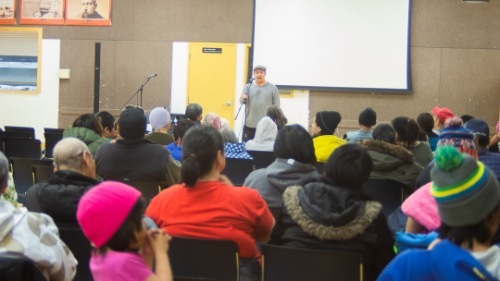 Close to 150 communities members came to the Arctic Hope meeting in Gjoa Haven!